Come to this special workshop where you'll learn how to create your own Boho-inspired macrame wall art! 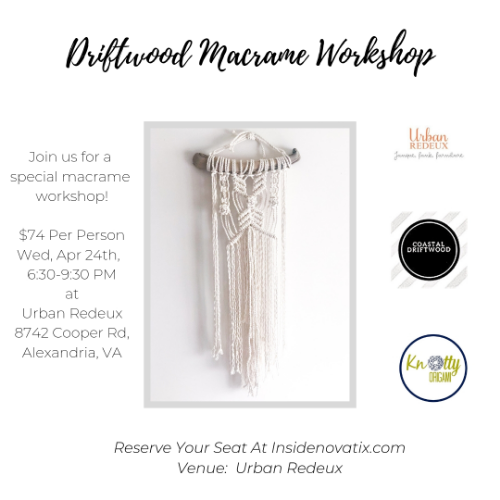 Coastal Driftwood, Knotty Origami, and Urban Redeux are thrilled to bring you a Driftwood Macrame Workshop! 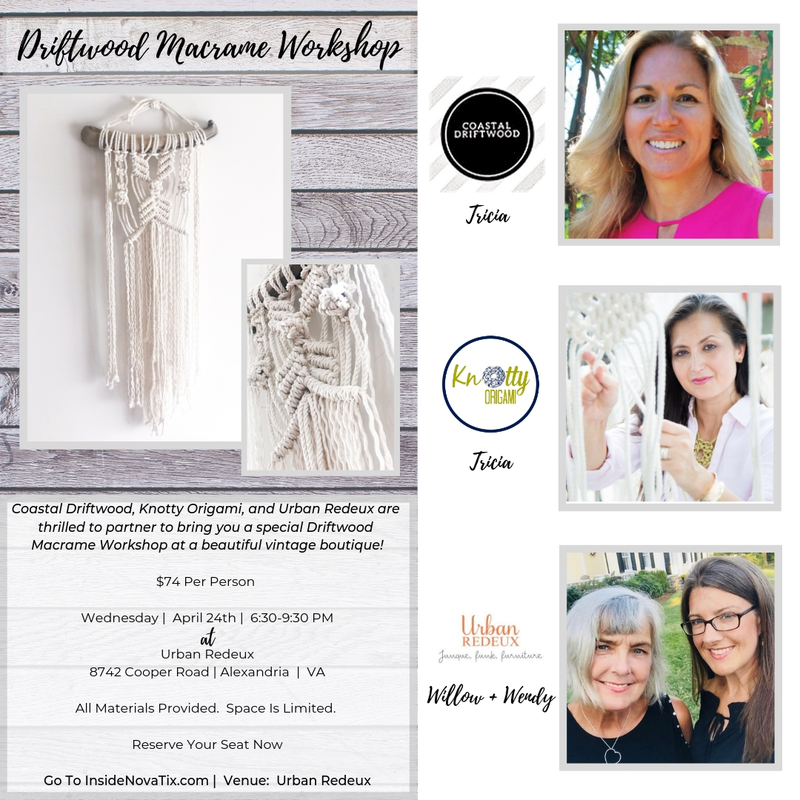 • Willow and Wendy of Urban Redeux are providing the most amazing collected space full of vintage treasures for you to learn how to create your own one-of-a-kind macrame wall art! The demo project measures 12" Wide x 30" from the top of the hanging cord and is made of cotton cording and driftwood. Student-created project measurements may vary according to individual trim choices and available driftwood (all are different!). The earliest arrivals will have first selection of available driftwood. 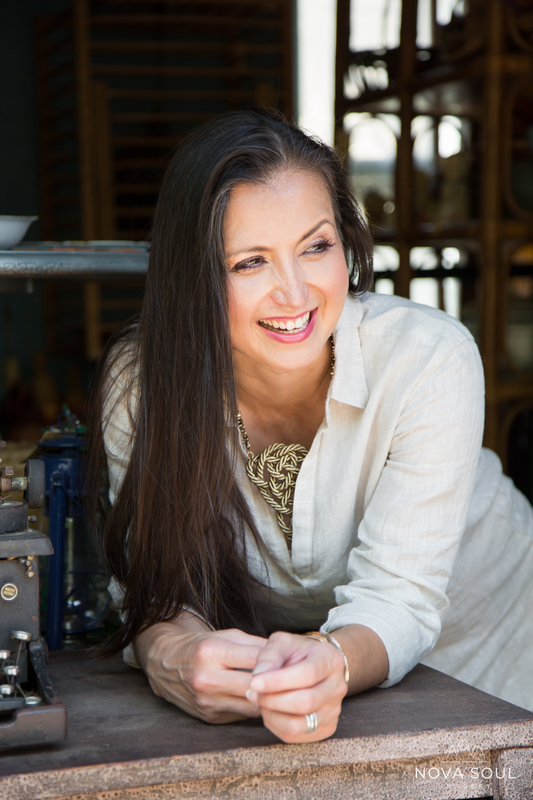 We're providing all you need for this special workshop. Cost is $74 Per Person (plus tax) Seats are limited and will sell out soon! Reserve your seats now to be sure you won't miss this special event!